Design Curves: Happy Easter everyone! 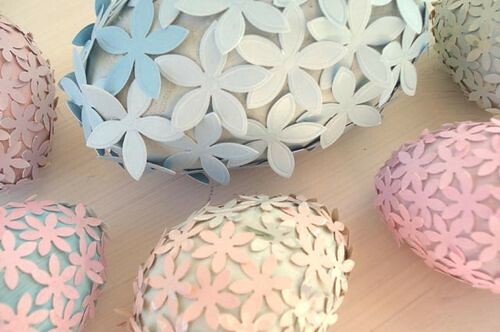 This Easter if you want to avoid the mess that comes with dyeing eggs, you should try an alternative method: decorate wooden eggs with paper flower. 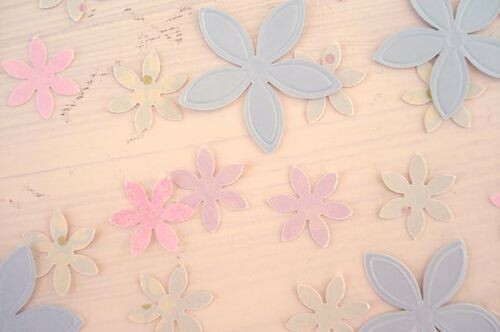 Let's just see the supplies you will need: wooden eggs, acrylic paints, pre-made paper flowers or flower punches and paper glue. 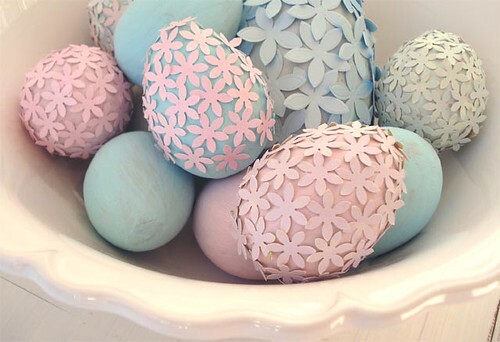 Start to paint your eggs in the colors that want and let them to dry. When the eggs are dried you can simply glue the paper flower all around the egg, then allow them to dry. It's simple, very creative and you can bring out year after year.